Don’t worry, our holiday gift guide series would not be complete without a hand-curated list for everyone out there who loves cats – maybe even a little more than humans! For all the special “Cat Ladies” in our lives! CatLadyBox is a monthly subscription service that sends unique gift boxes every month filled with cat-themed shirts, home decor, accessories, jewelry, and even goodies and toys for cats, too! 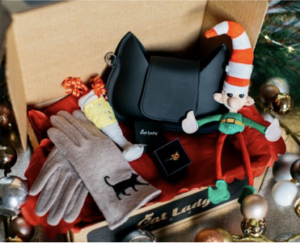 With two gift box options ( the “basic” option and “Crazy Cat Lady” option) you’ll be sure to find just the right gift box. 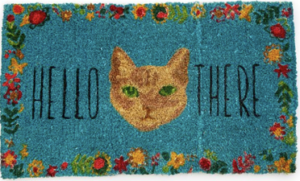 Upgrade your space and keep the mud and dirt at bay with this warm, welcoming doormat. 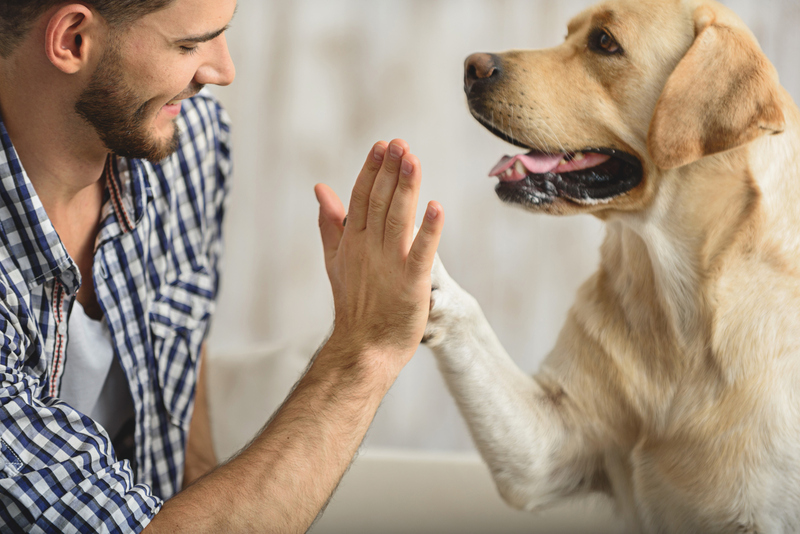 What better way than this eco-friendly, biodegradable mat to celebrate your feline family members by sharing them with everyone who walks through your door. 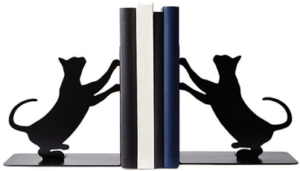 Handmade from carbon steel in Kentucky, these bookends are a classy and refined celebration of the feline sensibility. Keep your books in order with a classic feline shape – an elongated cat enjoyed a good scratch – that doesn’t go over-the-top with bright colors or a campy caricature. These are the perfect gift for whoever loves to cuddle up with their cat and a good book. Upgrade your treat jar with this glossy stoneware jar that might just upgrade your kitchen, too! With a cat regally displayed on top to remind you who the king, or queen, really is, this jar is just the right amount of kitchen-chic that will fit with any room design! This year’s must-have stocking stuffer for any cat-lover on your list! 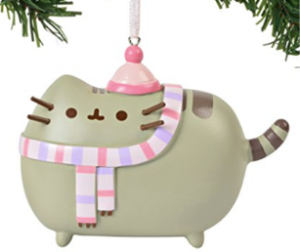 There isn’t a better way to celebrate the Christmas season and commemorate your love of all things feline for many years to come than with this Pusheen Cat ornament.